Pesach (Passover) commemorates the Exodus from Egypt over 3,000 years ago. 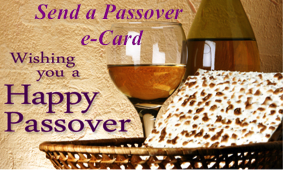 The ritual observance of this holiday centers around a seder (“order”) and a festive meal; the prohibition of chametz (leaven); and the eating of matzah. On the eve of the fifteenth day of Nisan, we read from the hagaddah (“telling”) which contains the order of prayers, rituals, readings and songs for the Pesach seder. The Pesach seder is the only ritual meal in the Jewish calendar year for which such an order is prescribed, hence its name. Join us this year in Counting the Omer between Passover and Shavuot. Also, click here to sign up for the Women’s Seder. Check our our calendar for the dates and times of Passover services and celebrations.